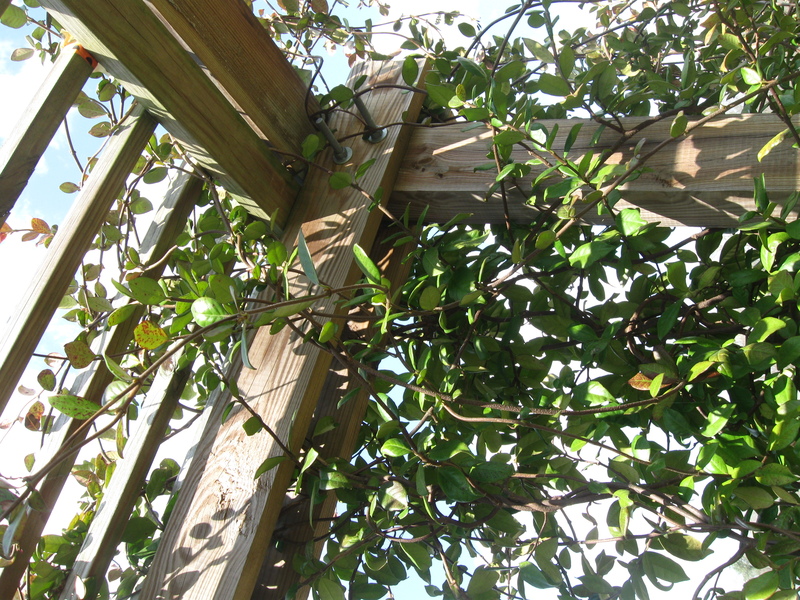 Learn from our building mistakes of a Jasmine Pergola! ← Firefighting Preparations need to be done now! 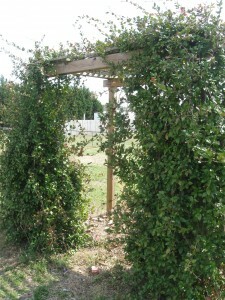 I was chatting today with Pamela about a hobbit house she was building and it reminded me of our Jasmine Pergola. 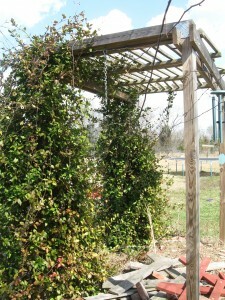 We originally saw an old pergola with Confederate Jasmine covering it with a table and chairs under it. It seemed so peaceful, smelled delicious, and despite it being a sunny day it was completely shaded underneath. 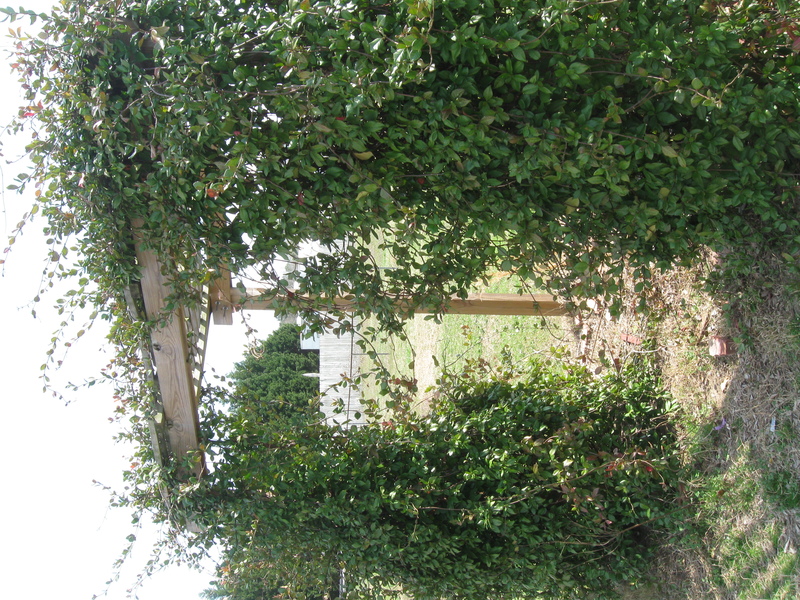 We wanted to add a little shade in our backyard so of course we wanted to duplicate it with our twist. We got it built but still have not quite finished it. The current state of things requires a little maintenance. That is a premium sometimes with small children. 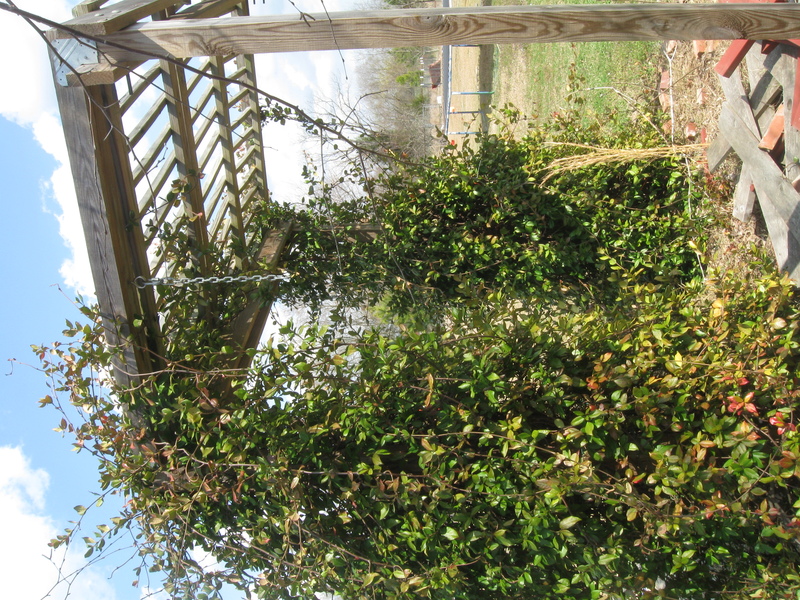 My wife loved the smell of Confederate Jasmine in the spring so we knew we would use that as the covering. 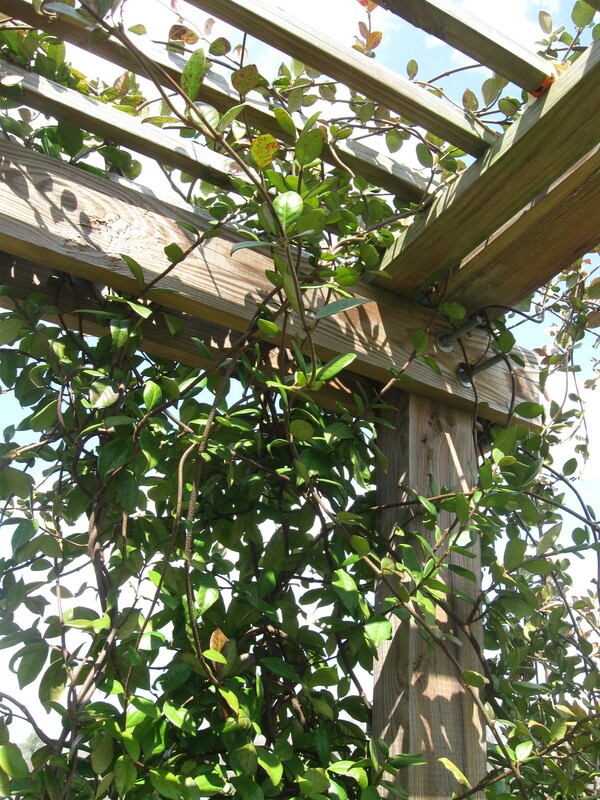 We wanted to incorporate some recycled materials in the build so we elected to use an old deck railing banister for the Jasmine to cover. 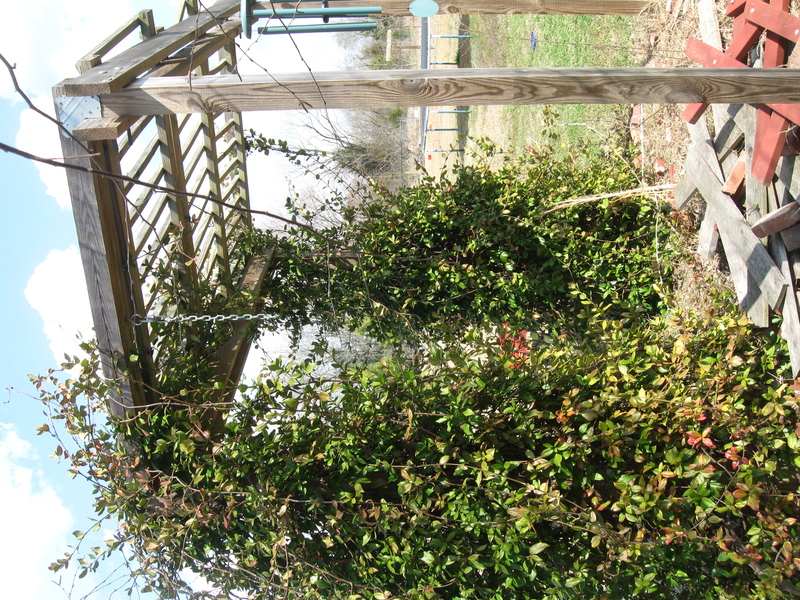 We saw the added benefit of being able to incorporate some hammock chairs into the Pergola so it would be a peaceful place to sit. We had gotten some old brick from a church so we had our little patio area underneath it. 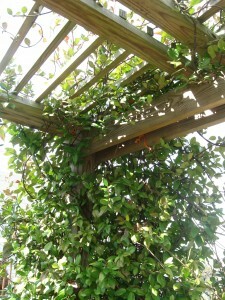 Everything went fine with the Jasmine Pergola except it has not grown as quick as we had hoped. It still has not covered the top yet so we have yet to experience the complete shading. 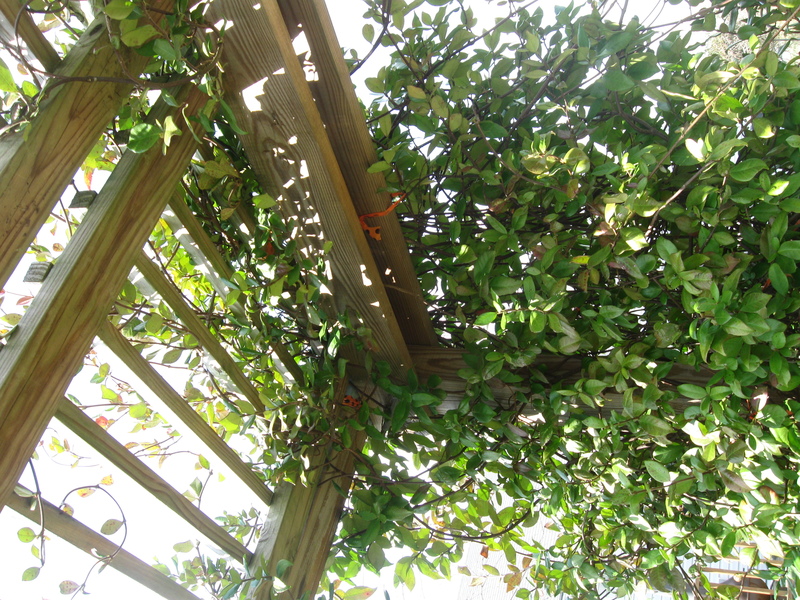 In addition we have to keep the Jasmine tidy or else our hammock chairs will not fit. 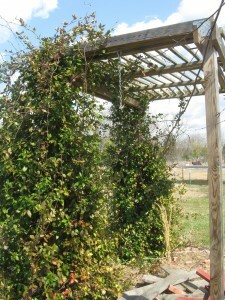 If we had it to do over again we would probably incorporate a more traditional pergola top. We also would probably have put pavers down instead of the loose bricks. In addition we might have made it a little bigger and added more plants. 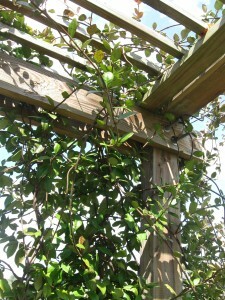 There are many things to learn from our Jasmine Pergola. A good design would incorporate the need for shade immediately. 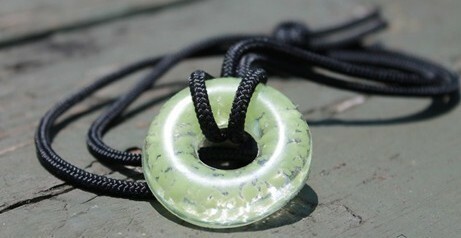 It is important to gather all the materials while building as future time probably will need to be used elsewhere.